Shortly before Christmas I went with her to an activity where the girls were going to be delivering toys and food that they had collected for Toys for Tots and the food bank. Going with her to that activity gave me an idea for Christmas. 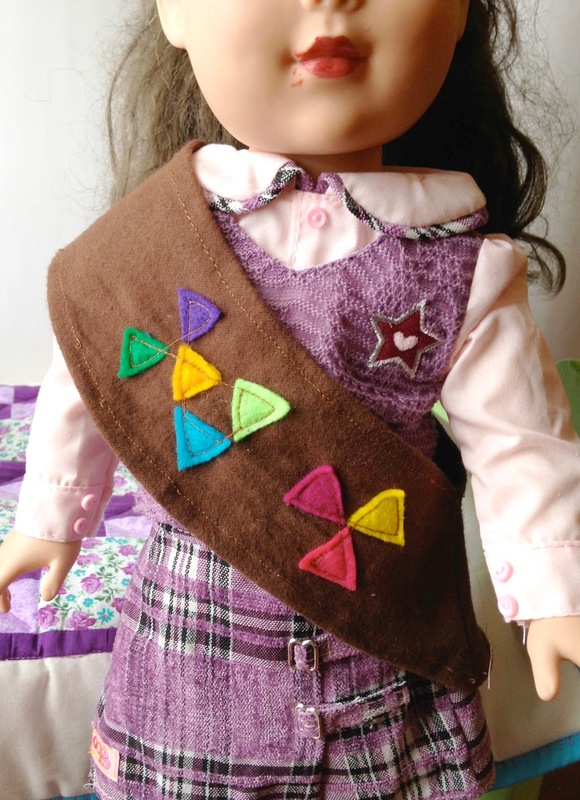 Since I was making other stuff for her doll why not make some little girl scout sashes for her dolls. I was glad that I did because she was so excited when she opened up the sashes. Later I asked her which of her presents was her favorite and she said it was the girl scout sashes. 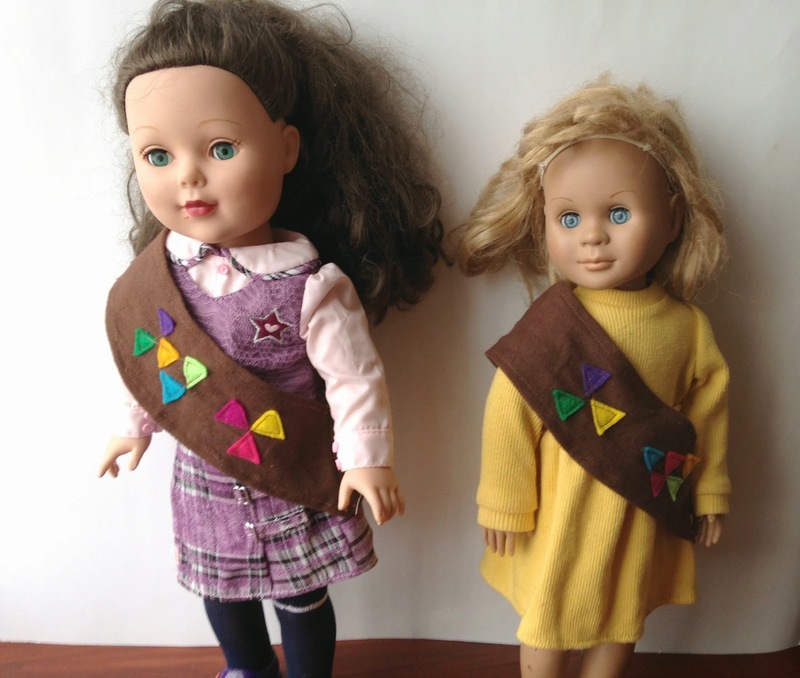 I made two because she has her doll, Emma, that she got for her birthday and an older hand-me-down doll from my little sisters that she named Holi (pronounced Holly and short for Holiday). She came up with the names all by herself. I'm actually surprised that one of them ended up with a very normal name. The Sashes were very easy to make. I used brown flannel to make mine because that is what I happened to have on hand. 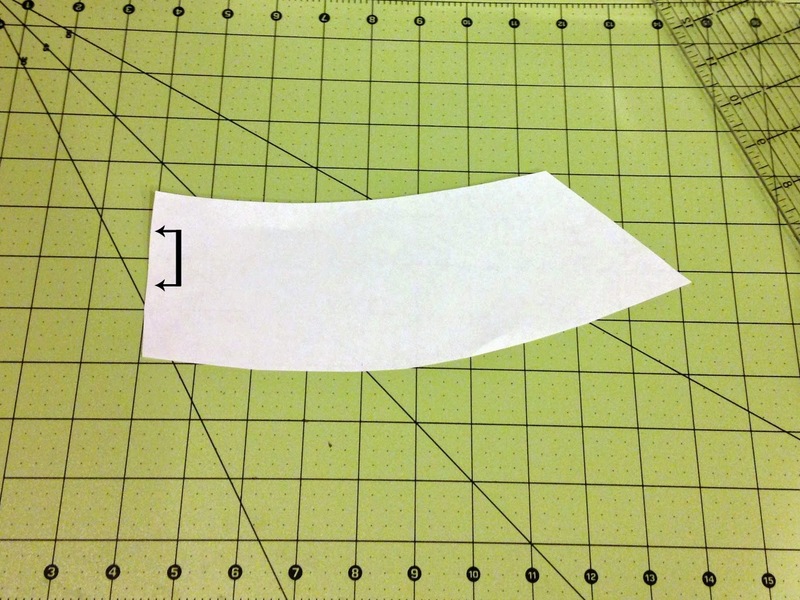 I cut a pattern from a piece of paper, I don't have the pattern available to print off but I took a picture so you can see the size and shape of the pattern that I made. I made sort of a curved rectangle that angled out on one end. The side in the picture that has the arrows is the shoulder. The more angled end is the pointed part of the sash that falls on the hip. I cut the sash a little over 3 inches wide. The top/shorter end is about 7 1/2- 8 inches long and the longer side is about 10 inches. I cut it out so that the shoulder edge was on a fold. I sewed the angle sides together and then folded the edged under a little on each side and sewed a small hem. 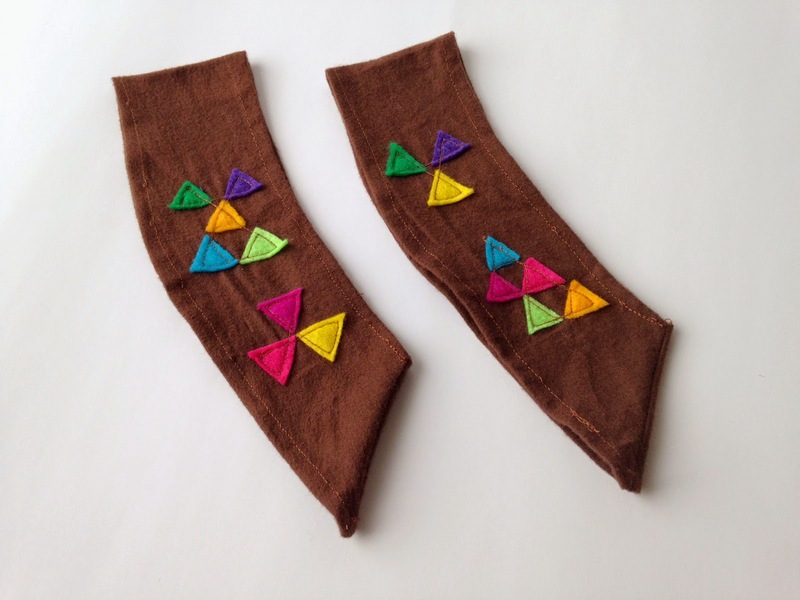 For the patches I cut tiny little triangles from several different colors of felt and sewed them to the sash. 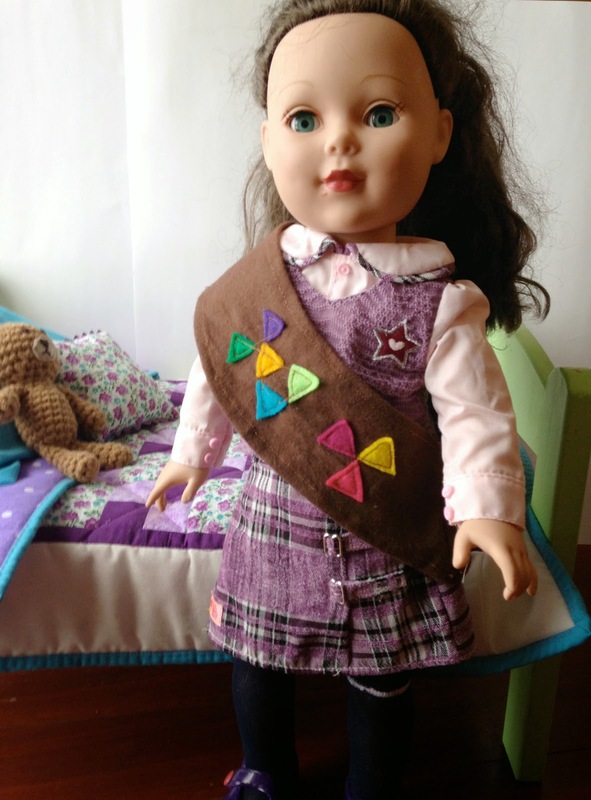 I realized afterward that I did not sew them on the way that I should have, some of the triangle should have been inverted but Eliza didn't seem to mind. You could also sew on little number patches or other shapes. I just stuck with triangles to keep it simple and I felt like it gave the idea of what it was. This was a super simple project, it really only took a few minutes to make, but it was a big hit with my little girl. 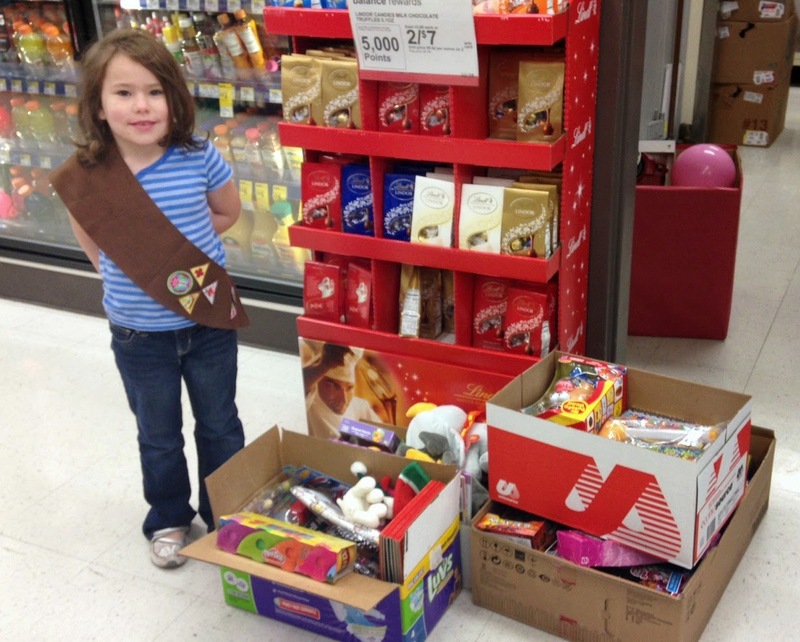 Now not only does Emma have everything that she needs to go to school but she can also go to girl scouts after school, just like Eliza does. Wow! Really helpful! Thank you!